Does the "Water Treatment" Work? A popular email and social media post circulating for several years claims that Japanese scientists have determined that drinking water in the morning will cure many diseases. It is popular in Japan today to drink water immediately after waking up every morning. Furthermore, scientific tests have proven its value. We publish below a description of use of water for our readers. For old and serious diseases as well as modern illnesses the water treatment had been found successful by a Japanese medical society as a hundred percent cure for the following diseases: Headache, body ache, heart system, arthritis, fast heart beat, epilepsy, excess fatness, bronchitis, asthma, TB, Meningitis, Kidney and Urine diseases, vomiting gastritis, diarrhoea, piles, diabetes, constipation, all eye diseases, womb cancer and menstrual disorders, ear nose and throat diseases. The following list gives the number of days of treatment required to cure main diseases. Arthritis patients should follow the above treatment for only 3 days in the first week to be followed by daily treatment. This treatment has no side effects, however at the commencement of treatment you may have to urinate a few times. So, is there any truth to these claims that water can actually cure all of these illnesses and symptoms? Absolutely not. The notion that drinking a few glasses of water in the morning could cure everything from a headache to cancer is not only untrue, it is dangerous. If someone with a serious condition like high blood pressure or cancer were to forgo medical treatment believing that simply drinking water could cure their illness, it could have dire consequences. Many of the "diseases" listed in the post are not actually diseases but symptoms. Body aches, fast heartbeat, vomiting, diarrhea, and even constipation are symptoms of some type of illness, they are not diseases on their own. Other claims such as "heart system" don't even make sense. Heart system sounds like a description of the anatomy of the heart, it's not an illness or disease at all. Will It Help At All? Drinking water is not a bad thing by any means. We all need to drink water to stay hydrated. Staying hydrated helps our bodies function properly. However, drinking a large amount of water at a certain time of day isn't going to cure any disease. There just isn't any scientific evidence to back up this claim. The only one of these symptoms/illnesses that may actually be helped by drinking more water is constipation. 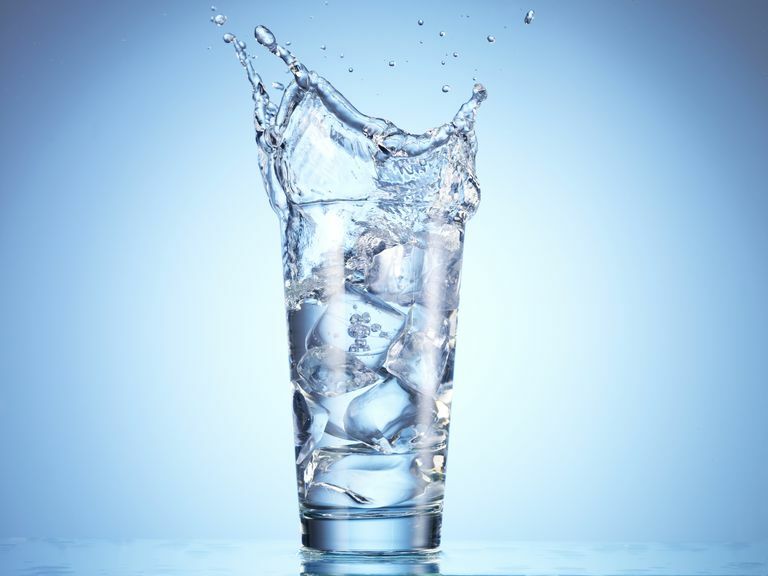 Since constipation can be caused by dehydration, drinking more water may help reduce the chances of that. Even then, research on constipation shows that drinking more water cannot relieve it, but ensuring that you are drinking enough water so that you avoid dehydration may help you avoid getting constipated in the first place. If you have a stomach virus, such as gastroenteritis, that is causing vomiting and diarrhea, you will need to attempt to stay hydrated as well, but drinking large amounts of water all at once is not the way to do it. If you have been vomiting, drinking a lot of water all at once can overwhelm the stomach and make you vomit even more. The claims of this so-called "water treatment" are not based in fact and will not help with a vast majority of the illnesses it says will be cured. If you are dealing with any type of illness or disease, consult your health care provider to come up with a safe, medically based treatment plan. "Constipation" National Digestive Diseases Information Clearinghouse 21 Feb 12. National Institute of Diabetes and Digestive and Kidney Diseases. National Institutes of Health. Can Cinnamon and Honey Cure the Common Cold? Myth or Fact: Should You Feed a Cold or Starve a Fever?